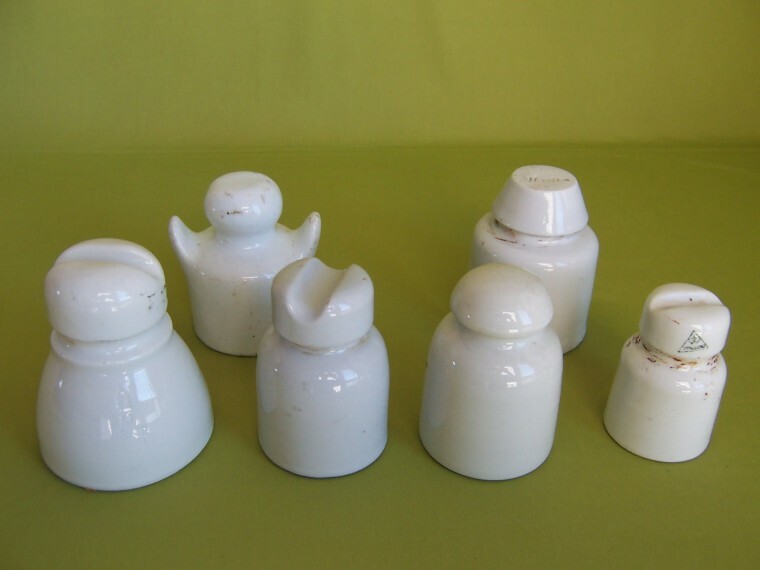 Several porcelain insulators as those used by Telégrafo Nacional. The odd shaped one back row, left, is known as a “Gingerman”. The next one to it is marked: “W 7244” (P. Walters ? ).